Many years ago while mindlessly flipping through channels, I happened across a peculiar image that immediately grabbed my attention. I saw a bearded man and his long-haired wife leading a pack of lamas across the Rocky Mountains. One llama was led by a small girl while a little boy was riding another. My limited attention span was only held a few moments and I eventually returned to channel surfing, but the image of that “cross-country llama family” stuck with me. Years went by. I would eventually get married and have a beautiful daughter named Emerald. While very excited to welcome this new addition to our small family, we quickly realized that we had received more than we had bargained for. Emerald was (and still is) an explosive ball of energy and emotions. In those early days, we often wondered if we were in over our heads and we were tired and frustrated. We may have gone on and on like that if it weren’t for a trip to Yosemite National Park. While on the trails of Yosemite my wife and I seemed to simultaneously realize that something new was happening. On the trail, Emerald was a different kid. She was calm, observant, happier, and in control of her emotions. We knew we were on to something. 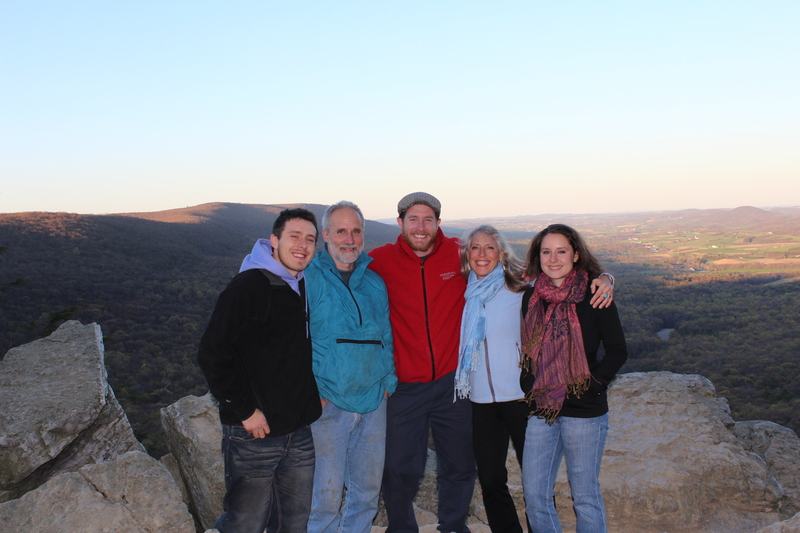 That day the Ballentine family officially became nature nuts! We were very excited but didn’t know where to start. We imagined all kinds of outdoor adventures we wanted to give Emerald, but usually concluded that such activities were too dangerous, or that we lacked the know-how to accomplish them. Then one day I was at our local Boy Scout shop purchasing merit badges for an upcoming scout event. I was about to check out and head for the exit when a book caught the corner of my eye. On the cover was a little girl leading a lama down a trail, behind her was a bearded man with a baby on his back. I recognized them from the TV show immediately and picked it up. The title of the book was “Kids in the Wild: A Family Guide to Outdoor Recreation”. I excitedly bought a copy and rushed home to show my wife, Amber. Thus began our fascination with the Ross / Gladfelter clan. Our lives have never been the same! As I type tonight I am not only a guest blogger but also a guest in the Ross / Gladfelter home. 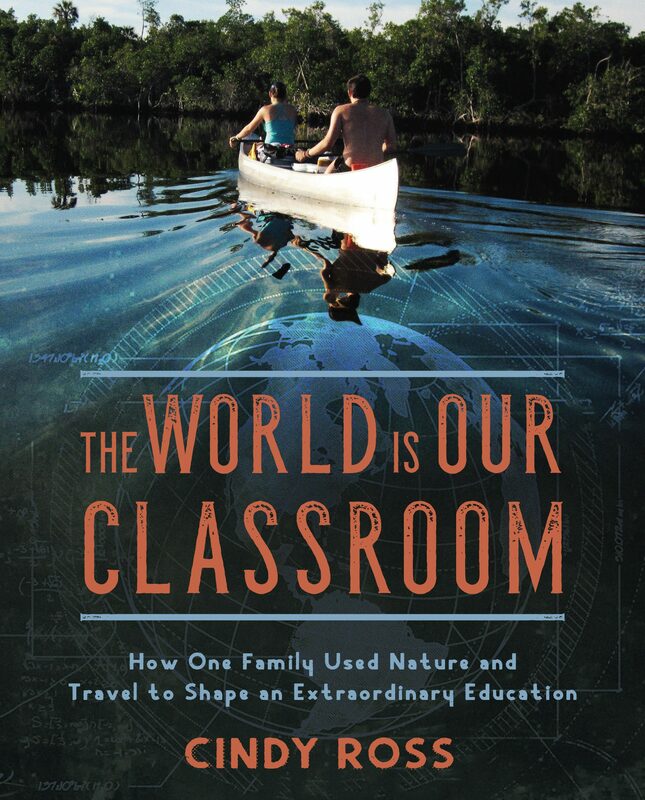 Their family adventures and Cindy’s inspiring writings have helped us discover the wonder, the joy, and the fun of a nature-based family. Earlier today I interviewed Cindy, Todd, Sierra and Bryce for a film I am producing (www.naturekidsmovie.com) on the importance of a nature-centered childhood. From that interview, I gained another insight into how the wonders of nature can bless and enrich our lives. In many ways Cindy, Todd, Sierra and Bryce are not that different from any other family. They squabble and bicker, laugh and tease just like anyone else… but they have something else that seems to be largely missing in the average, modern American family. They know each other! These aren’t kids that simply grew up next to each other. They grew up TOGETHER. They solved problems, experienced fear, excitement, exhaustion and joy together. They are grounded to each other like the roots of an ancient tree are grounded to the earth. The natural world is not a place where you can slam a door, turn up the TV, or do any of the things we typically do to shut out the sometimes trying challenges of family life. In nature, you face it all together and the result is a family who truly knows each other. In the nature adventures that Amber, Emerald, Lavender (nature kid #2), and I have had thus far, we experience that same kind of closeness. If there is a finer way to raise kids and enjoy doing so, I have yet to hear of it. Thank you my sweet college roomate- who has touched and affected MY LIFE so many years ago- when it was important and necessary- we were GROWING UP! Next Too Old for an Easter Egg Hunt?…I don’t think so!